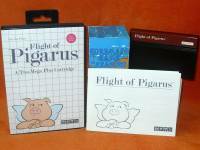 View topic - Flight of Pigarus - limited physical edition - Forums - SMS Power! 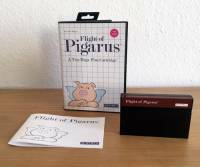 I made a small batch (25 pieces) of physical editions of my most recent Homebrew Flight of Pigarus. 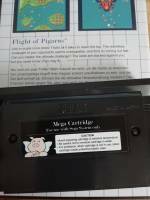 The price is 30 EUR plus shipping. PM me if you want one. First come, first serve. Once they're gone, they're gone for good. It looks absolutely gorgeous, PM sent. I hope that I am not too late. On its way. Can’t wait to play it. This is really exciting. Because the game is wonderful! But also because this is using the custom PCB by Ichigobankai. It is the first time those are used for a homebrew product? 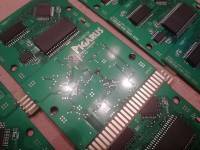 Pigarus pcb are fully CMS / oven soldered and programmed after soldering. Thanks to all buyers. I hope everything arrives safely. I know I´m late and all copies are sold. I want to be in the waiting list if someone finally do not buy or you decide to do more copies. My copy arrived pretty quickly in Berlin. Thank you Kagesan! Not yet! I haven't had the chance to test it yet :-D But looks amazing!